This is my first build! Thought it might be too much for one go but it seems to have worked out great. Spent a lot of time researching and assembling but it's worked out great so far. Wanted to share my experience with this case in case anyone else is looking to do something similar. Primary purpose for computer is photo editing, video editing, and some gaming on older titles. Therefore CPU was the priority, so Ryzen seemed like the easy choice. There weren't a lot of mITX AM4 boards to choose from, ASRock seemed like the best one available. Found 32gb ram for cheapish, other ram kits were going for $400+. Thought I'd need faster ram but it's been perfect so far - I think because my GPU is not top of the line. Hopefully can overclock the ram a bit too, will update here if I do. The case took a while to pick out. Originally was going to pick the Coolermaster 110 or Silverstone SG13. Didn't like the looks of either of them, and the cooling on those cases seem really poor. Then I found this case; better cooling, better looks, and smaller size! Was really excited to work with it. Getting all the parts together was easier than I thought it would be, and easier to do simple mods with. When assembling, I took of all the panels except the front, back, and motherboard tray. I put the CPU cooler on first, then mounted the motherboard and plugged everything in, did power last - the PSU was the last thing I screwed in. I didn't have any trouble assembling except for some clearance issues, discussed below. The biggest snag I ran into was with the 3.5' drive. I was planning on installing the 3.5 drive in the bottom of the case, where there are mounts. However, the Scythe cooler radiator was just too big and hits the drive. I am not 100% sure, but I think the only conflict was with the radiator that extended past the fan (see image 8). 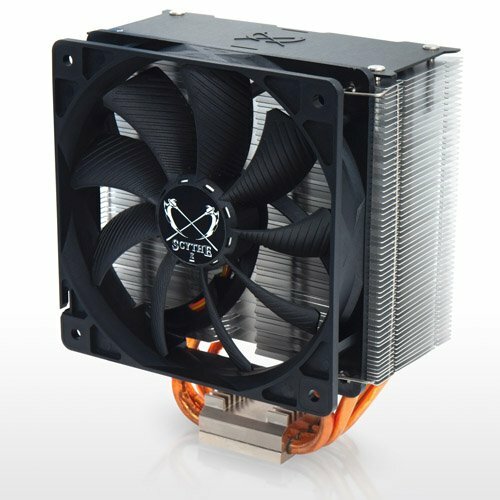 I think a cooler without that width like the Cryorig H7 would fit. Thought about getting the H7 or the Coolermaster 120. 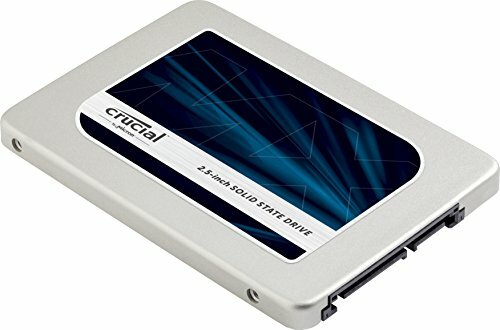 Another alternative would be putting 2x 2.5 drives in the bottom. Decided I already had the parts and would try to figure something else out. The other mount for a 3.5 drive is the top panel, via a drive tray. However, the 3.5 drive here blocks the top fan if you want a fan intake here (which I obviously did). I came up with a rough mod that has worked pretty perfectly so far. I used some wire mesh (very stiff) to mount the drive next to the top fan, it fit perfectly with clearance over the GPU and still room for wires. Isn't ideal but can't complain! (it looks like the GPU is sagging in the pic, in reality nothing is touching it, I don't know why it looks like that). I also bought a slim case fan for the top. A full size fan fits but it will be close to the GPU. I know cables look terrible. there wasn't a lot to be done, except maybe a sfx psu or shorten cables. The seasonic psu seemed like a great length. Everyone that built with this case says go sfx, which would have been easier, but you'll be fine with ATX, if it's shorter (Seasonic was 140mm deep) and you don't use a full size card. A full size card would work with a sfx psu. ATX was a lot cheaper than sfx, was happy it worked out. I replaced the top vent and side window with same wire mesh I bought at the hardware store. It was a black wire gutter guard, about $3, if anyone is interested. With the side panel ventilation, I put both fans on intake and I can feel air pushing out the sides. I set the CPU fan on pull towards the PSU, else it would have been next to the case fan. Temps seem normal so far, GPU at 35c idle, 70c under load. CPU 40c idle, 50-60c under load. The whole thing sounds pretty quiet on my desk, though I don't have a lot of experience with quiet PCs. The gpu gets pretty loud when gaming but that was expected. Looks amazing too! Runs fast and cool! 8 cores! Apparently the X on the 1700 just means it's clocked a bit faster, but it was only $20 more than the 1700 and I don't want to mess with overclocking. From what I've read, this is a really underrated cooler. So far has kept the CPU under 50c, even with the fan in pull instead of push. 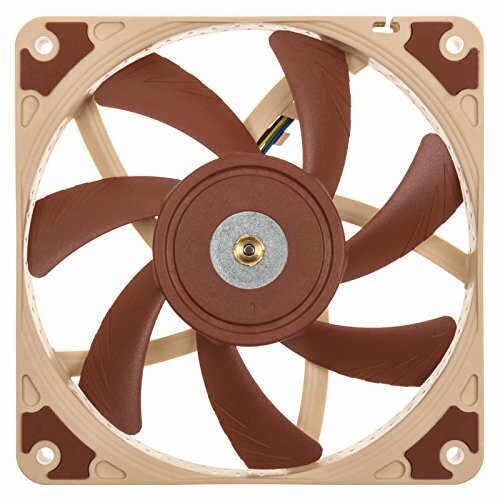 Fan is very quiet. It was a bit too wide for this exact case but seems like it's incredible value. Everything has run great, easy BIOS updates, works with obscure ram. Wifi seems great with a 6 in antenna on the back. Most port placement was easy. Removing one star for no USB 3.1 gen2 support. Would have preferred that instead of the USB C 3.1 gen1 port, almost picked up the ASUS board instead for that reason. Backplate is cheap looking, why not all black or all red? Would have painted it black if I had paint on me. It's hard for 2.5" drives to match this. Has been great for 1080p and 1440p gaming. Quiet and cool so far. Had doubts about ordering this case, but it has been perfect. 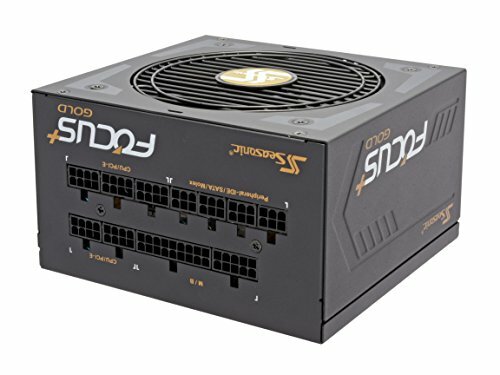 Sleek and roomy; fits ATX psu, shorter GPU, SSD, 3.5 drive. Wish they had options for no side window, and two fans on top panel. Whole case comes apart, so assembly is easier than you'd think. Roomier than you'd think. A little lacking on its own, but has a ton of potential for easy mods. Has been cool, but replaced side window with mesh. Set both fans as intake and PSU and side panels as exhaust. Can't fit most tower coolers and a 3.5 drive in base panel. 3,5 drive in top panel blocks intake. See complete build for more notes. Slim, strong, and as quiet as full width. Wish they had a chromax version. Gorgeous. Perfect size and pixel density. Incredible colors. I would get the newer model without the touch buttons. Feels great, looks classy, great media controls, especially the volume roller. Wish it had a USB 3.0 hub on it lisk Das Keyboard. Isn't' too loud even without o-rings. That mesh job is sooo goood, would you be able to fit a dual fan gpu if you were to use a sfx psu? Thanks! I think it should fit! 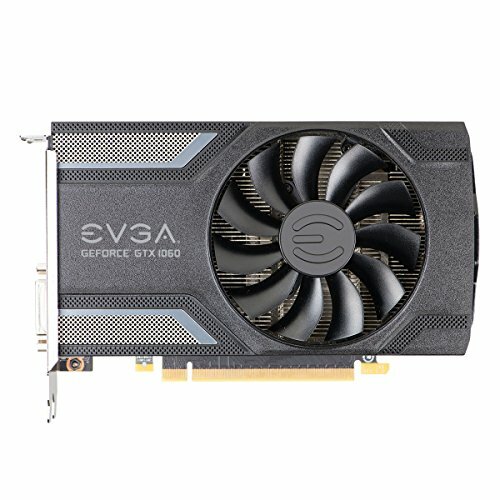 There are a lot of other builds where people have fit in full size gpus with a sfx psu, definitely should check them out. Great job! The black mesh you put there is very cool. I built a similar pc with this case recently and I can feel the side window is warm when GPU is under load. A lot of hot air could not get out with just PSU fan, whose air path blocked because of facing the bottom. 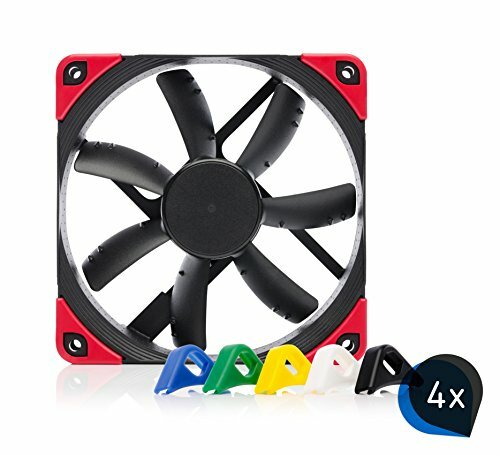 I found your top intake fan is the air flow version, so I doubt if it can really push some air down below since blocked almost entirely by the GPU. In my build, I found the heat from GPU back pcb trapped there so I rotated some of the case frames and let GPU be at bottom. This is great, but how did you do that side window to mesh mod? It looks riveted or maybe affixed with hex bolts, but I can't find much more information on that mod. Regardless, this is a +1 from me. Well done! I just used the bolts/nuts that came with the case, they worked great! I had to mess with some pliers on the mesh to get it to line up with the bolts, but it worked great! Thanks! I just used the bolts/nuts that came with the case, they worked great! I had to mess with some pliers on the mesh to get it to line up with the bolts, but it worked great! Wow! I'm definitely going to do a build with this case. Awesome! It's a great case.